Unknown bright yellow blossom on semi-arid bush at Silent Valley Resort in the San Jacinto Mountains of Southern California. 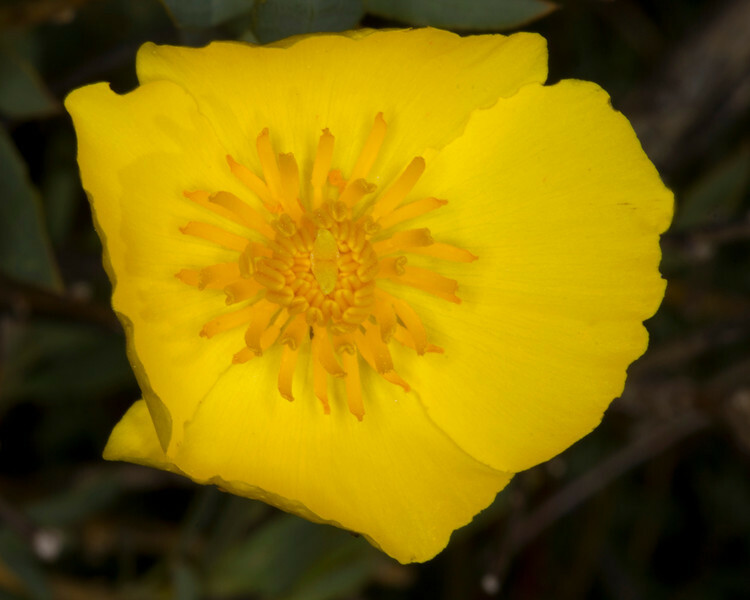 This bloom has 4 large, fragile petals in a cup shape (see next photo). In dead center you can see the pistil, surrounding many unfolding stamens.The leaves are narrow and linear and extremely tough and leathery. Stems of bush are smooth. Much of the bush is dead. March 8, 2012.